A cool rainy day in June and a wee bit of tying. I couldn’t find my lucky rabbit foot, but the local shop Stone River Outfitters had extras. I figure a double whammy fly was in order. 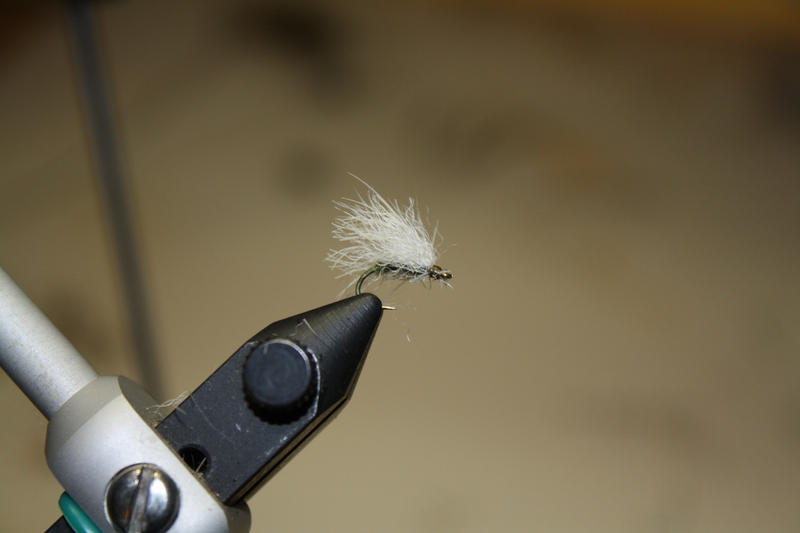 A nice buoyant caddis with the added ‘luck’ built right in. ~ by John McGranaghan on June 2, 2012.